Are you sick of taking lousy pictures of your kids with that camera that you spent so much money on, or begged and pleaded for??? Are you dying to know what it is that your camera does?? Or know how it works? Or why it won’t produce the pictures you wish/ thought it would? Do you keep your camera set on auto mode because between dirty diapers, work, and homework, you barely have time to breathe, let alone figure out why you can’t manage to take a decent picture of your kids? I totally get it! I was there until I realized I needed to learn how to shoot in manual mode. 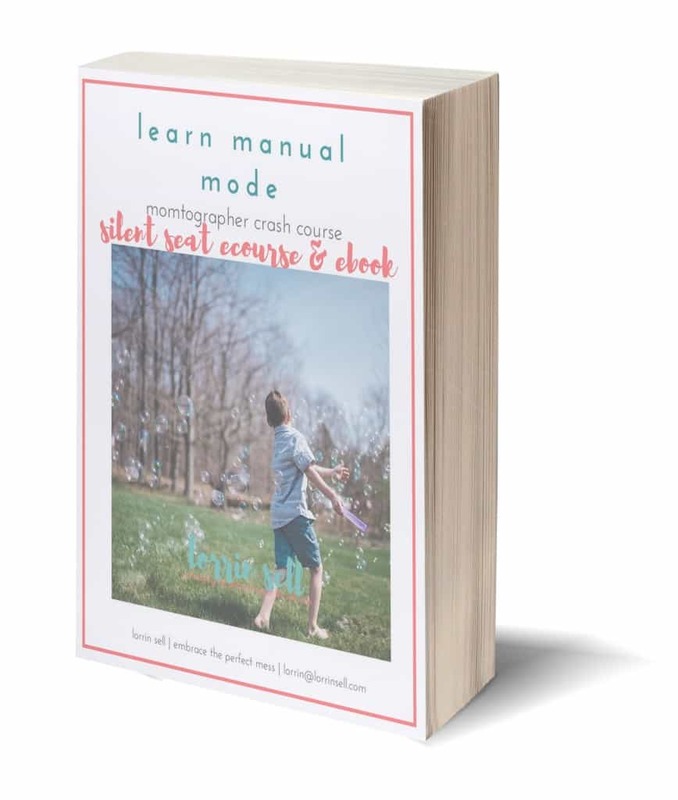 learn manual mode | crash course for momtographers is for YOU! It’s a class just for non-professional, BEGINNERS who want to learn to use their camera!! It’s held online to make YOUR life easier! No need to worry about getting a babysitter, no need to worry about working around already demanding schedules. Course material is delivered in the form of an ebook, 4 assignments will be given, and all students will receive access to a secret facebook group to promote collaboration and help from peers, as well as give you all a place to ask me questions long after the course is over! What kind of camera/ lens do I need? Any dslr with the kit lens will do! Anything else is icing on the cake! Suggestions will be given for lenses that may fit your needs too. How long does it last, and are there scheduled times I will need to be online? Since this course is an ebook, there is no need to be online at a given time. Lessons and assignments are given at once, in an immediate download so you can get to work right away. You’re able to work as slow or as fast as your life allows! There are 4 creative assignments and prompts given. I work a full-time job, kids at home, after school activities will I have time for this class? Absolutely!!! The reason I decided to transform this class into an ebook is to help busy moms and dads like YOU!! Giving you the information in one place, and allowing you to take the time to learn on YOUR terms, makes things more manageable for people who are trying to squeeze this into their schedules. How rigid are the assignments? Will I be searching for the perfect hiking trail, or lake? I’d hate to commit and then not be able to do the assignments. This course/ ebook is designed to teach you how to use your camera in manual mode. Where you choose to take the pictures is entirely up to you!! Do I need to be a parent to gain something from this class? Truthfully, this class is designed for busy parents to learn how to use their cameras in manual mode. The process is the same for those taking pictures of children, and those taking pictures of landscapes, and, therefore, would benefit anyone. That said, the suggestions in the class are really meant to help parents get those pictures of their kids, they’ve been dying to get!! I have read everything I can get my hands on, and had other people try to teach me how to use my camera in the past. How can I be sure I’m going to figure it out this time? Well, you can’t. But….. you’re not the first person to ask me this, and those people followed the former sentence with a happy— “I totally get it now!! !” And although my goal is to make you super happy with your purchase, I am happy to offer a 100% 10 day money back guarantee if you’re not happy with your purchase. I’m in!!! When does class start??? As soon as you’re ready! Once you purchase the course, you will be immediately given access to the ebook. You will have all 4 assignments, and all of the lessons. I’m so pumped to teach you all what I love so much.